North Kent Connect - NPO Showcase from GRTV on Vimeo. In this week’s segment of GRTV’s NPO Showcase, Claire Guisfredi from North Kent Connect shares how the organization assists those living in northern Kent County access basic living needs and reach independent economic goals to improve their quality of life. North Kent Connect has an in-house market for clients to access food and goods, including locally grown foods through a farm-to-pantry program with Plainsong Farms and provides referrals to support pantries to help residents with a greater need. Seasonal services are offered to families looking for school supplies, tax preparation assistance, summer lunches and holiday gift and food baskets. North Kent Connect offers services for seniors including pantry and commodity programs and assists with the Meals on Wheels program for West Michigan. North Kent Connect provides educational programs assisting families with budgeting, finding work, and meeting personal goals. In addition, West Michigan Works holds office hours at North Kent Connect to help residents increase their employability and to connect them with work opportunities. 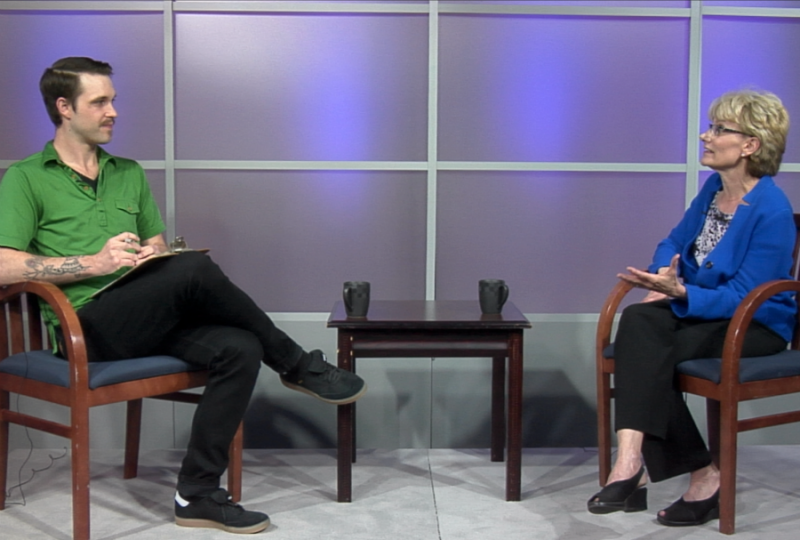 Check back next Wednesday for a new segment of GRTV’s NPO Showcase, featuring Arts in Motion.